BOSTON, MA — Across the street from the Boston Convention Center and located in Boston’s newest neighborhood, the Seaport District, Aloft is breaking new ground around innovative meeting attendee experiences. 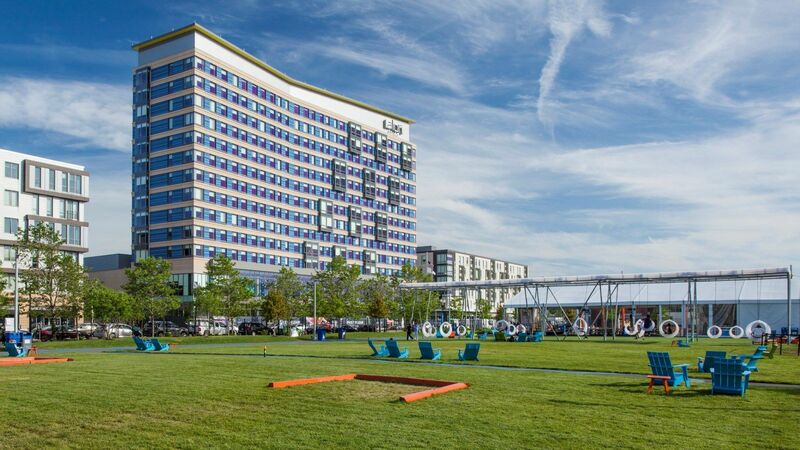 With 10,000 square feet of meeting space within 10 different space, the Aloft Boston Seaport District is unique among many other Aloft hotels. A ramen competition featuring a variety of sauces, add-ins and other ingredients for meeting attendees to create their own customer ramen recipe. Attendees can also create their own cocktail concoction from a selection of spirits and mixers, with guidance from the expert team at the hotel’s W: XYZ bar. Food truck festivals with renowned local food trucks parking onsite to give meeting attendees outdoor time and a unique dining experience. Health-focused meeting “Break Bites” focused on healthy eating. Beyond traditional room settings, comfortable couches and additional non-traditional seating help planners make the most of their meetings. The innovative Assemble at Aloft program, which provides free meeting space for area nonprofits. The sleek TACTIC meeting space, equipped with state-of-the-art A/V, giant plasma TV and fast and free Wi-Fi. SPG Keyless, which allows guests to use their smartphone as their room key. Aloft Boston Seaport features relaxed meeting spaces for conversation post-meeting, and is renowned for its buzzing social scene, including W: XYZ Bar that serves up signature cocktails, surprise DJ sets and live music from emerging talent. Games and a pool table in the hotel’s lobby are also a big hit among the hotel’s guests. For more information, or to plan your next meeting, visit online.